What do new young stars look like as they heat up the surrounding space dust? 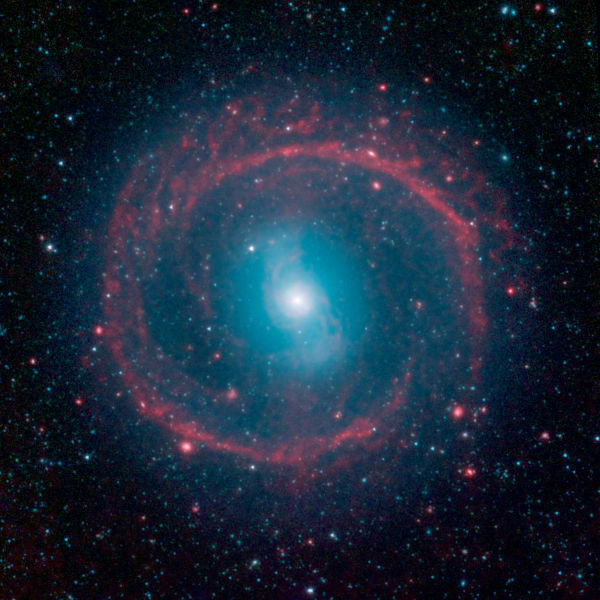 The Spitzer Space Telescope looked out to the galaxy NGC 1291 and captured an infrared image of quite the firestorm created by this awe inspiring phenomenon. The distinctive outer red ring in this 12 billion year old galaxy from the Eridanus constellation, consists of new stars and is the “Ring of Fire“. The older stars lie in the central blue coloured “S” area of the galaxy and produce shorter-wavelength infrared light. Not the human kind but birth of a celestial star. The birth of a star is a fascinating process that has and will long continue to draw the attention of astronomers and scientists. 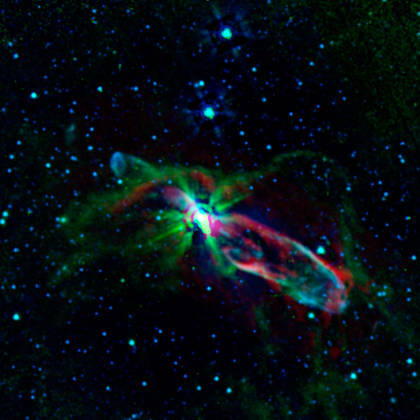 This picture was based on the observations of NASA’s Spitzer Space Telescope and Atacama Large Millimeter/sub-millimeter Array (ALMA) in Chile, and gave us a first look at a newborn star. Combination of Spitzer and ALMA are able to capture the infrared and sub-millimeter light spectrums; thus a allowing a rare glimpse inside the the dark cosmic cloud around Herbig-Haro (HH) object 46/47. The blue areas show gas energized by out flowing jets representing the shorter wavelength light, with the blueish-green areas caused by hydrogen gas. The redder areas are the longer wavelength and are created by excited carbon monoxide gas in this new star. The Trifid Nebula (cataloged as NGC 6514 or M20) was discovered by the famous French astronomer Charles Messier on June 5, 1764. This interstellar cloud is located about 5,400 light-years away in the Sagittarius constellation. 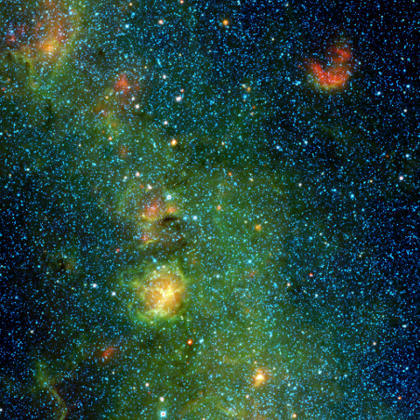 The above picture, taken by NASA Jet Propulsion Laboratory’s Wide-field Infrared Survey Explorer (WISE), shows a storm of stars brewing in the Trifid Nebula. 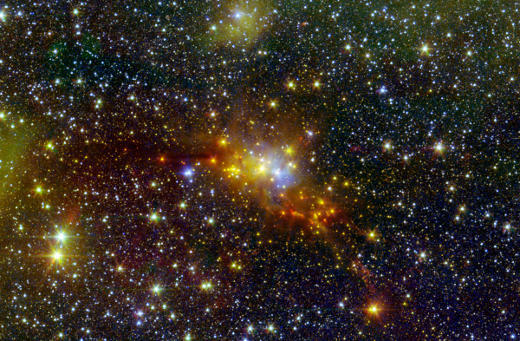 The intense yellow and orange parts of the picture are new stars being born while the blue stars scattered around the picture are the older stars in this nebula. The main green cloud overlapping the many stars is made up of hydrogen gas. Skylab was Americas’s first manned space station where astronauts performed numerous experiments. As part of the Skylab 3 mission in 1973, this picture of stars from the Aquarius constellation was taken during their Zodiacal Light/Gegenschein experiments. 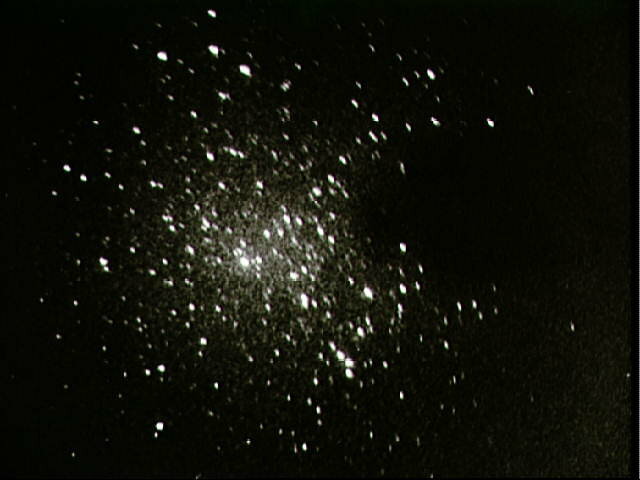 A 35mm camera was used with a six minute exposure; pointing out into space through Skylab’s anti-solar scientific airlock, within its Orbital Workshop (OWS).